Weddings have become spectacular events with budgets to match. If your budget is more shoe-string than showbiz, don’t put off your special day. There are ways to create an event to remember without getting into financial trouble. Many jewellers advise customers to spend the equivalent of two months’ salary on a ring, but there are other more affordable options out there (Cheaper weddings). eBay has rings on offer and you could pick up a ring for less than you’d pay in a jewellery store. Read sellers’ feedback carefully and ask questions. Watch out for loose stone settings and get these fixed before wearing the ring. If you’re buying a diamond ring, check the ring for yourself if you can. Don’t think that second-hand means second-best. Kate Moss, Scarlet Johansson and Lara Stone all proudly display vintage engagement rings on their fingers. You can find some real gems in vintage and antique shops. Hand-me-downs are always romantic – a much-loved family heirloom can have more significance than a new ring – and best of all (apart from having to have the band resized) most hand-me-downs are completely free. So ask family members if they can dip into their jewellery boxes. Tip: Don’t forget to insure your ring. It’s easy to forget you may have just added a few grand to your personal belongings. Call your insurer and check your rings are covered – you may need to add a separate policy for them. Begin planning your special day by ditching the urge to duplicate a celebrity wedding. Make your day special by listing the things that have real meaning for you as a couple. Did you meet in a park on a summer day? Turn your wedding reception into a picnic. The things that are meaningful to your relationship are the touches that will make your wedding unique and special, and since they tie-in with your real-life experiences, they’re more likely to fit into your budget. Now that you know what you’d like your theme to be, write down the amount of money you have to spend. Ideally, this should be money you have in-hand. If you’re tempted to start borrowing, it’s probably time to rethink the wedding. You might need another few months to save for your special day. Make sure you are using the right savings tool so your money draws maximum interest. Speak to your banking consultant to make sure your money’s working hard for you. 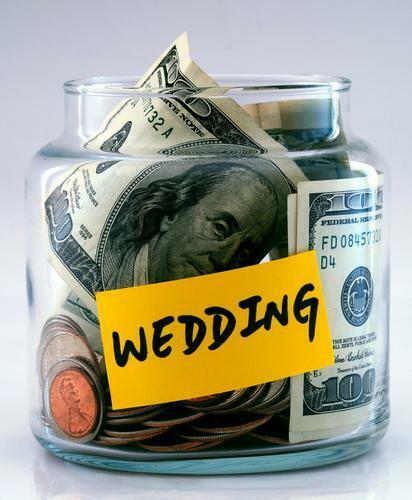 Tip: Your budget – the money you have in-hand – should determine the type of wedding you can afford. Never let your wish-list dictate the budget. Think about the bigger picture. Would you prefer a honeymoon abroad? A professional photographer? Remember, venue costs are likely to be about one third to half of your budget, which makes the picnic theme seem all the more attractive, or the beautiful oak tree you used to play in as a child in your parents’ garden. Tip: Don’t sacrifice wedded bliss for the temporary flash of a fancy wedding. A simple reception that allows you to put down a bigger deposit on a home of your own, will do far more for your marriage and your future. If you need a little extra cash for the finishing touches, collect all the items you no longer use – from the Stairmaster gathering dust in the corner to bags, old books and jewellery. Have a garage sale or sell them online. Barter your gardening or language tutor skills with friends, and neighbours for cakes, flower arranging or dressmaking. If you can’t delay your wedding date and need to borrow to pull off the event, keep the amount you borrow as small as possible. Wonga offers cash loans, for a period of up to 30 days, so if you find you absolutely have to move your venue indoors or the plumbing’s giving you problems just when your budget’s stretched to the limit. Can I pay them back in a year or less? Have I planned the expenditure so I need to borrow as little as possible? Am I borrowing the cheapest possible way? Unfortunately, wedding suppliers who ask for a deposit far in advance, can go under between paying and delivering on your special day. Tip: Research a supplier before relying on them to deliver. Begin by getting personal referrals from happy customers you know personally and can trust. Find out how long they’ve been in business, the size and number of weddings they supply. If the company does not have a solid reputation, negotiate down the deposit you’re willing to pay upfront.